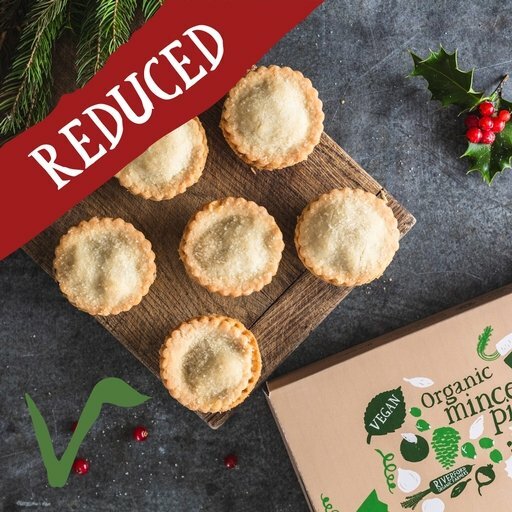 By popular demand, we’ve baked a few more of our new vegan mince pies so you can keep enjoying them a little longer – they’re too good for December alone! Organic coconut oil makes our vegan pastry decadently short and rich. Each little pie is deeply filled with plump vine fruits, apple, candied peel, winter spices and a slosh of brandy, then baked to perfection in a woodfired oven. Wheat Flour (Wheat, Calcium Carbonate*, Iron*, Niacin*, Thiamin*), Coconut Oil (16%), Apples (9%), Currants (9%), Sultanas (9%), Cane Sugar, Brown Sugar, Sunflower Oil, Candied Peel (2.7%) (Orange Peel, Lemon Peel, Glucose Syrup, Salt*), Raisins (2.1%), Orange Juice, Cognac (1.5%), Cider, Mixed Spice, Flaked Almonds, Cinnamon, Nutmeg, Ground Ginger.